IF YOU ARE LOOKING TO GET THE BEST VALUE PRICED PATIO HOME, THEN THIS IS IT. LOCATED IN THE DESIRABLE PATIO HOME DEVELOPMENT OF MONTICELLO FOREST!! READY FOR IMMEDIATE OCCUPANCY WITH AN OPEN SPLIT FLOOR PLAN AND VAULTED CEILINGS. OWNER HAS INSTALLED ALL NEW WOOD FLOORS IN THE FAMILY ROOM AND HALLWAYS, PLUS DOUBLE PANE TINTED WINDOWS AND UPDATED PATIO DOOR. ALL LIVING SPACE IS ON ONE FLOOR WITH LARGE ROOMS, GAS LOG FIREPLACE, TWO FULL BATHS, LARGE LAUNDRY/MUDROOM, LARGE MASTER BATH, AND SPACIOUS EAT-IN-KITCHEN WITH WALNUT CABINETS AND LARGE WINDOWS. ALL APPLIANCES REMAIN IN THE KITCHEN WHICH INCLUDE THE REFRIGERATOR, STOVE, MICROWAVE, AND DISHWASHER. ENERGY EFFICIENT-MINDED SELLER ALSO ADDED INSULATION IN THE ATTIC. THIS END UNIT HAS AN OVERSIZED GARAGE WITH PULL DOWN ATTIC STORAGE. Monticello Forest is a subdivision within the city of Louisville, Kentucky. There are currently 1 Homes for Sale within Monticello Forest, with asking prices ranging from $225,000 to $225,000. The average list price per square foot of the available inventory in Monticello Forest is $134, which is below the Louisville average of $156. The Average Sales price of all sold real estate in this subdivision for the past year is $209,200. Recent comparable homes have been selling for 97.54% of their asking price. Waterfront homes represent 0.00% of the available Monticello Forest inventory. The population of Louisville, according to the 2010 Census, is 597,337. The total number of households in the zip code of Monticello Forest is 15,222, with an average household size for of 2.51 people. The total number of renter households within the zip code of 40299 is 3,033, which means that 80.07% of households in this zipcode are owner occupant households. 10427 Monticello Forest Cir, Louisville KY 40299 is a Condo, with 2 bedrooms which is recently sold, it has 1,249 sqft, 0 sized lot, and 2 Car Garage,Attached,Entry Front parking. 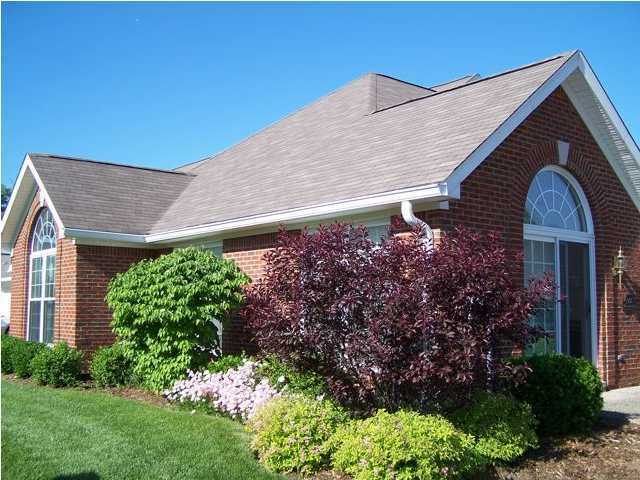 A comparable Condo, has 2 bedrooms and 2.5 baths, it was built in and is located at 10449 Monticello Forest Cir Louisville KY 40299 and for sale by its owner at $ 225,000. This home is located in the city of Louisville , in zip code 40299, this Jefferson County Condo, it is in the MONTICELLO FOREST Subdivision, and WATTERSON WOODS are nearby neighborhoods.